In the beginning, there is the fear of death or serious injury and the dread of strenuous effort. And this is to say that people contemplate high peaks adventuring with reasonable concerns. Mountains are beautiful, gigantic gemstones at a distance, but up close they are unforgiving, towering piles of loose rock that are hard to climb and even harder to descend. Not many people care to take the stairs to the top of the 110-story Sears Tower, and it is only 1,450 feet tall compared to typical gains of 3,000 feet or more in hiking over a high peak. And the Sears Tower doesn’t present the risk of being hit by falling rock, blasted by lightning, lost in the wilderness, left in the dark, baked by the sun, or the risk of unintentionally falling a very great distance. In other words, it is perfectly reasonable to wonder why any intelligent, non-insane person would choose to work so hard and risk so much for achievements that don’t matter and that few or no one will know about. The answer is: personal reward is proportional to personal effort. The high peaks allow us to intensely feel the pleasure of being alive by inspiring us to commit our whole body & mind to overcome hard physical efforts, challenging mental puzzles, and stressful emotional situations. But the risks are great too, and excessive risk may mean lost health or time in life. We balance risk and reward to achieve frequent success against difficult goals while avoiding dangerous mistakes and traps that encourage irresponsible behavior. To maximize rewards in life, we must treat each adventure as a single step in a long journey. To see the high peaks as a source of personal reward, we must not view them as opponents to defeat or disasters to avoid. The key is to manage risk, not compete with or avoid it. Too much risk can mean too short a life, while too little risk can mean too few rewards. To help us achieve safe success we use a balanced mindset called “yield and overcome,” which impels us to yield to excessive risk when necessary, but overcome fear and physical obstacles when possible. We are safer and more capable when the aggressive and conservative aspects of our nature are used together in a measured, enduring balance. 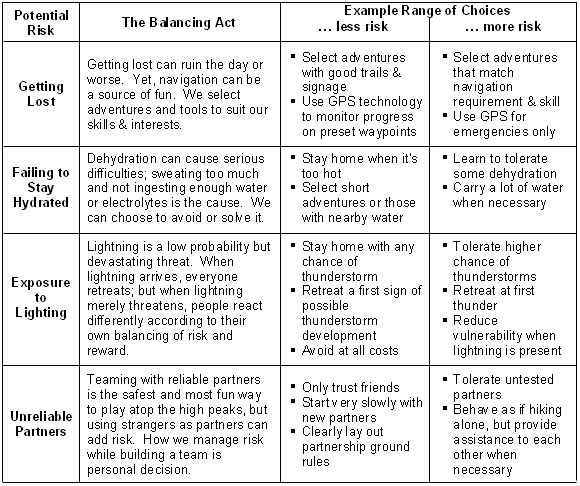 The process of managing risk requires that we: (1) understand which risks threaten us during our high peaks adventures and (2) manage those risks in a way that suits us. 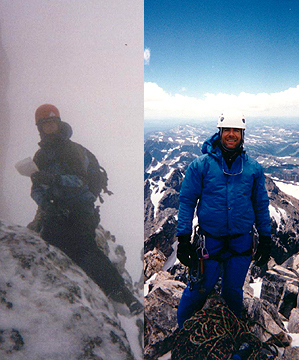 Each of us has a unique background and set of reasons for playing atop the high peaks. No one can tell us how to be safe atop the high peaks without first asking us what we enjoy and what makes the experience meaningful. 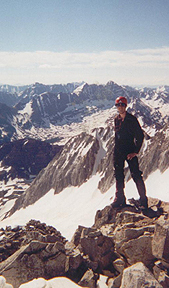 It is this personal nature of managing risk atop the high peaks that forces us to examine the topic for ourselves; the correct choices on each risk element can be different for different people. To illustrate, below is a summary of common risks and a corresponding range of potentially appropriate choices. In the end, it is our ability to manage risk that allows us to overcome our fear and exchange hard efforts for massive personal rewards. Once we understand the risks we face, we can make rational decisions about balancing risk and reward for ourselves. 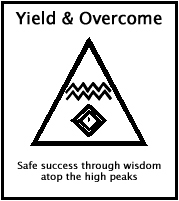 We can find the balance of “yield and overcome” that works best for us to achieve safe success. And, so doing, we can become the person we always wanted to be: proud of self, respectful of danger, a master of fear, and happy in life. With this mindset behind our behavior in the high peaks, we can achieve a long lifetime atop the high peaks. See a list of essays or the “Cliffs Notes” version in the form of laws, rules, etc.